We all love a car with functioning air con, especially when you consider how hot it can get in a typical Lagos traffic. At bus stations, AC buses are generally higher priced than non AC buses. 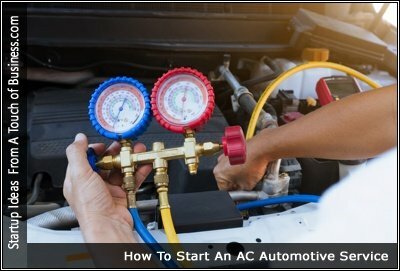 These tips are perfect for those of you who are thinking about starting an auto air conditioning service and repair business. Make sure you consider this advice before you open up shop. Are you a motivated mechanic with basic business knowledge and access to capital? If so, then opening an auto repair shop could be the right decision for you. A lot of mechanics waste their talents by working under those who are less skilled than them. If you’re considering opening your own auto repair shop, here are six things you should consider. Start planning today for success tomorrow! Auto repair shops are profitable businesses, but require quite a but of start-up money. This makes such a venture cost-prohibitive to younger mechanics and those who are not able to save the thousands of dollars needed to open a shop.